When many players think of the world’s top gambling destinations, their thoughts tend toward the venues in Vegas, Monaco, and Macau. However, the southern hemisphere has a few casinos that can rival some of the more famous establishments. Whether players are looking for a flashy resort that offers a wealth of entertainment options, or a more intimate venue loaded with charm, much like that of River Belle Casino, in an exotic setting, they can find it. These are 5 of the best. Sprawling over 510,000 m² on the bank of the Yarra River, Australia’s Crown Melbourne, also known as Crown Casino and Entertainment Complex, is the biggest in the southern hemisphere. It opened in 1994 in a temporary location, before moving to its permanent home in 1997. The complex’s gaming floor boasts 3500 slot machines, as well as Baccarat, Blackjack, Craps, Pai Gow, Poker, and Roulette. It also has a separate Poker room, 4 hotels, 6 prestigious restaurants such as Dinner by Heston Blumenthal, and luxury brand stores such as Harrods and Hugo Boss. 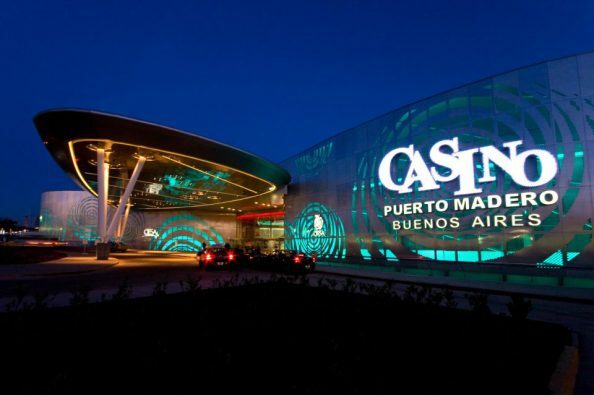 Argentina may be tightening its gambling laws, but Casino Buenos Aires remains open for business. It is the capital’s most renowned gambling venue, and is found in the Puerto Madero docklands. Gaming is split over 2 ships, Princess and Estrella Della Fortuna. Both offer slots and table games, together offering more than 1400 slots and more than 120 tables, as well as exclusive high roller and Poker rooms. The establishment also offers a top-quality restaurant, gourmet confectionery, and a shopping centre. One of South African city Johannesburg’s top entertainment venues, Montecasino resembles a 15th-century Italian village. The effect comes complete with cobblestone streets, laundry lines strung up between buildings, and ceiling that looks like a cloudy sunset. The gaming floor has more than 1850 slot machines as well as 70 tables games including Baccarat, Blackjack, Craps, Roulette, Poker, and Wheel of Fortune. The complex is also home to boutique shops, restaurants, an entertainment arcade, a multi-screen cinema, 2 theatres, and a hotel. Found in the coastal town of Saint-Pierre, Reunion Island, the Casino du Sud is as charming as it is intimate. It is arguably the island’s most festive gaming venue, even if it lacks the amenities offered by resorts elsewhere in the world. The gaming floor has 80 slot machines and a few tables that offer Blackjack and Roulette variations. The establishment also boasts bowling, a restaurant, a snack bar, and the L’Endroit bar. The second casino to open in New Zealand, SkyCity Auckland is found at foot of Sky Tower. It is the only real-money gaming venue in the city. There are more than 1600 slot machines on the gaming floor, as well more than 100 tables that offer Blackjack, Roulette, and other games. High rollers can play slots in the Platinum Room, and table games in the Pacific Room. The complex also features a convention centre, 2 hotels, 12 restaurants and bars, a theatre, and an eSports broadcasting studio.